What’s included in Day One Premium? 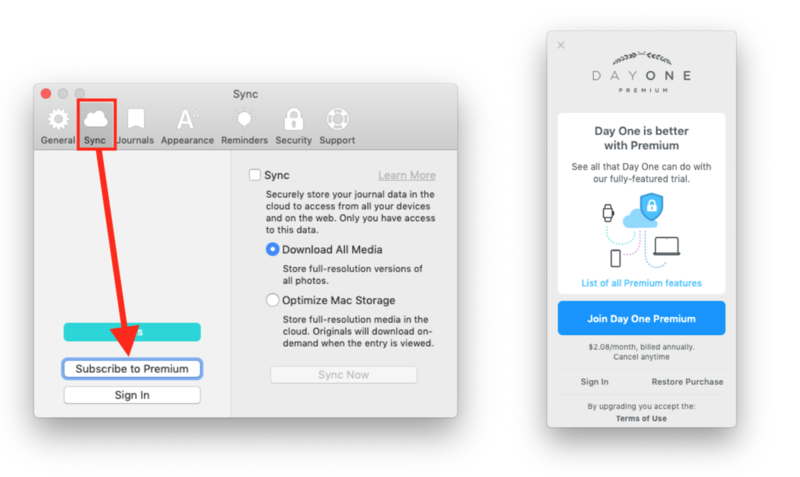 Unlimited journals, unlimited photo storage, up to 30 photos per entry, 25% off book orders, the Mac app (a $49.99 value), and more. 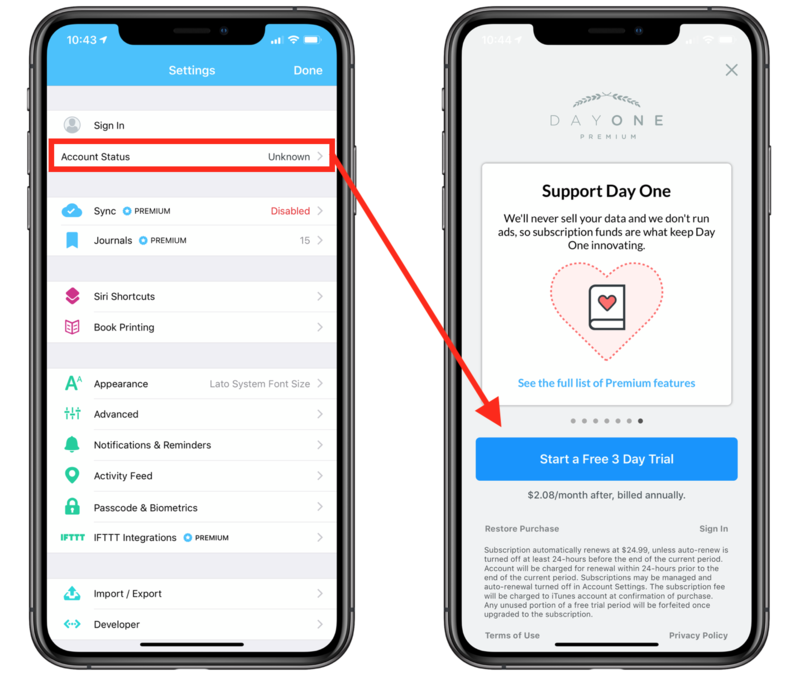 Day One Premium users also have exclusive access to all future features including: writing prompts, video entries, and more. 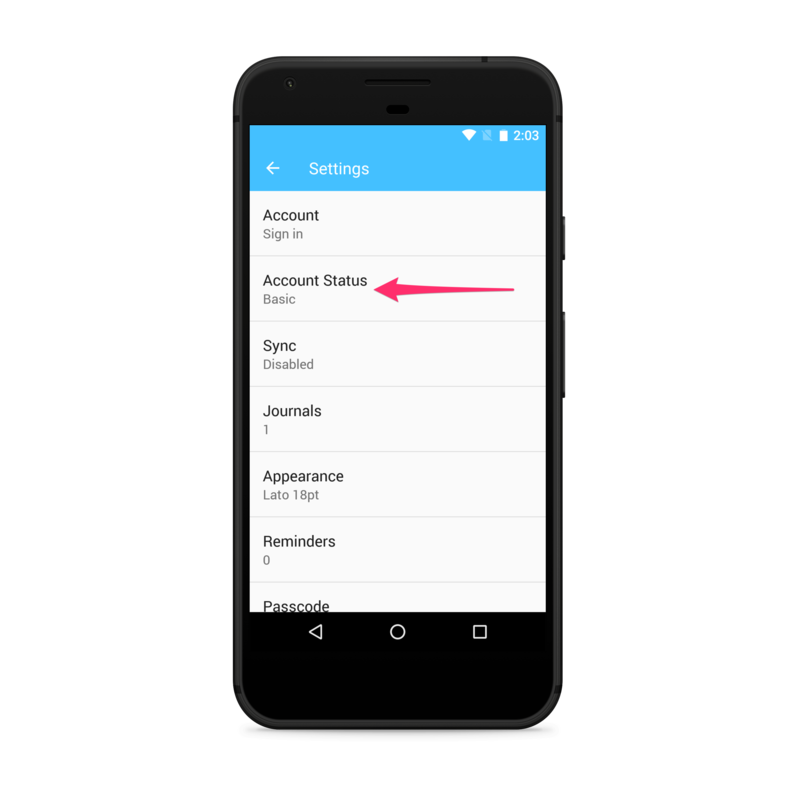 Go to Day One > Settings > Account Status. Tap on this to subscribe or manage your existing subscription.